Our designer woven clothing labels received a lot of attention at the latest prêt-à-porter collection in Paris. In the buyers meeting, the womenswear designers were especially pleased with our designer woven labels; our customized high-definition woven labels suit perfectly on their luxury fabric, sharp cutting fashion design and flawless finish clothes. We help our designer customers to choose the type of woven brand labels that match their clothes style such as fabric material, patterns design and colours. The biggest fashion trends in recent years are all about the environment. We can see such environmental focus on fashion textile products as well as its process design with natural resources. 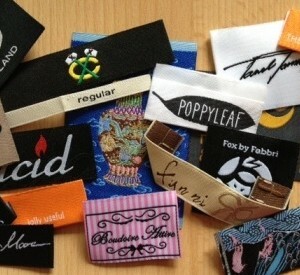 Designer woven cotton labels are great green choice as sustainable fabrics which have less environmental impact. They are made of 100% natural resources to reduce the environmental impact. 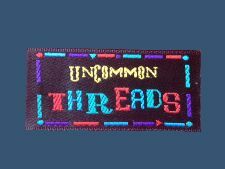 Our woven cotton labels are great environmentally conscious garment labels; they are lightweight, and very soft, used often for children swear. 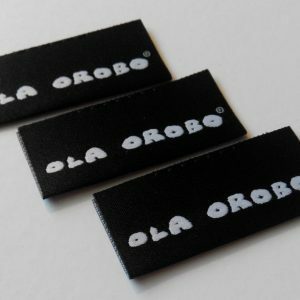 Contact us today, our contact details are here, and start your own designer woven clothing labels.